140 King Palm King Size Rolls - Holds up to 2 grams each. Just Fill It - Tightly compress your choice of herbs, but without using extreme force. Use a semi-chunky grind for maximum flavor. Our leaf wraps have a very mild earthy taste and do not alter the flavors of the herbs you are using. 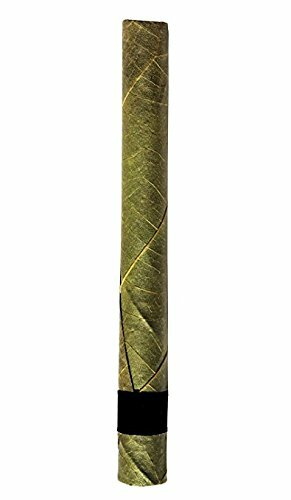 Super Slow Burning - Real Cordia Leaf Free of: Tobacco, Glue, Flavors, & Additives. Hand-Rolled Leaf and Hand-Rolled Corn Husk Filter - Bite the filter for a tighter draw and cooler smoke. We make and use the World's Strongest Filter. If you have any questions about this product by King Palms, contact us by completing and submitting the form below. If you are looking for a specif part number, please include it with your message.